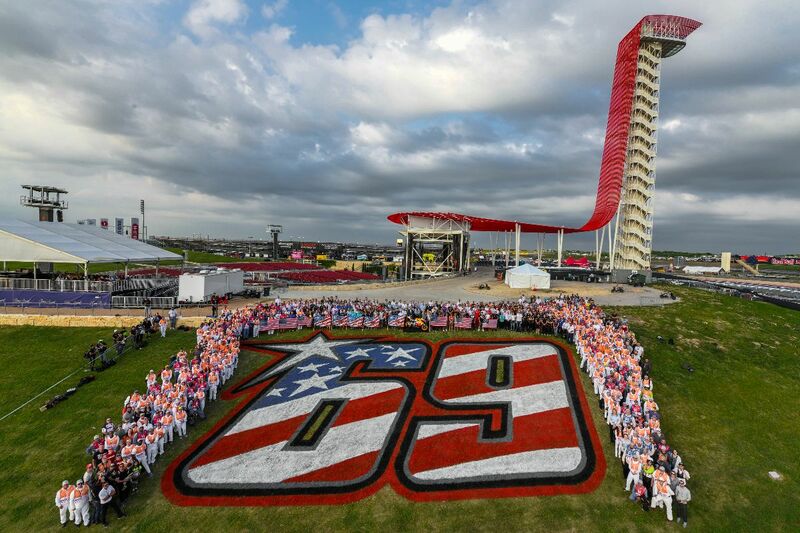 On Friday evening at the Red Bull Grand Prix of the Americas, another incredible tribute to the 'Kentucky Kid' took place as the MotoGP™ paddock gathered on 'Hayden Hill' at Turn 18 for a historic photo opportunity. The tribute was the perfect finale for the day on which the number 69 was retired from the premier class of Grand Prix racing. Earlier, an emotional ceremony took place at midday local time on Friday to formally retire the number, with the room packed full of Hayden's family, fiancée, friends, former rivals and teammates to celebrate the life and career of the MotoGP™ Legend.